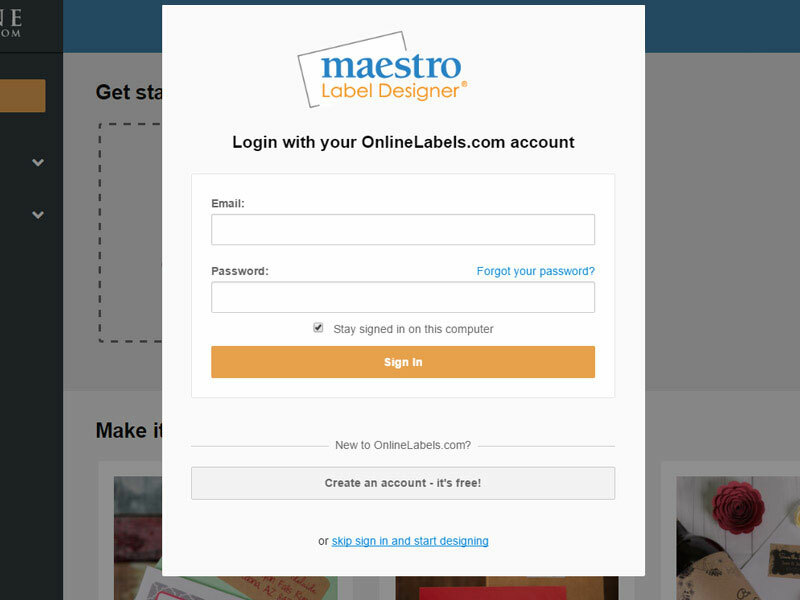 To log in to Maestro Label Designer, you'll need to know the email and password associated with your OnlineLabels.com account. Don't have an account or unsure where to log in? The steps below will walk you through how to do both. They'll also explain how to skip sign in and launch the free trial version. 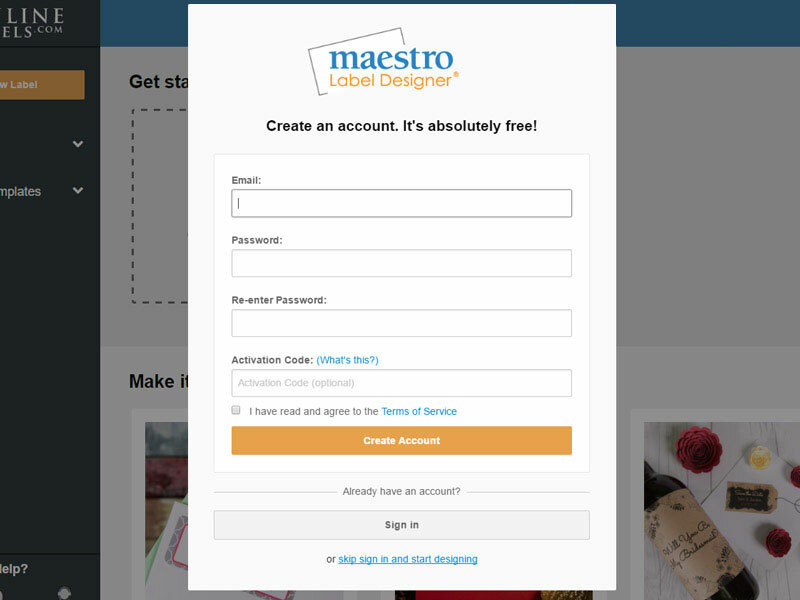 Launch Maestro Label Designer and click "Create an account - it's free!" If you have an activation code, enter it now. Sign in with your OnlineLabels.com account information. Click "skip sign in and start designing." If you already have an account with OnlineLabels.com, you don't need to create a new one. Skip ahead to How to Log In. Enter in your information and check the Terms & Conditions agreement box. Note: Your password must be between 6 and 20 characters long. Note: Activation is not required to use Printing by OnlineLabels.com. An activation code is only necessary to print at your home or office without watermarks. Select "Create Account." You will be directed to the Maestro Label Designer home screen and can begin designing. Enter the email and password associated with your OnlineLabels.com account and click "Sign in." You will be directed to the Maestro Label Designer home screen and can begin designing. Using the trial mode of Maestro Label Designer will prevent you from being able to save your designs and will add a watermark to your prints. Look to the bottom of the login screen and click "skip sign in and start designing." If you run into problems while creating an account or signing in, please contact our support team at 1-888-575-2235. Ready to use Maestro Label Designer? These steps will walk you through the activation process. Personalize your label designs with images clipart. Upload your own images or browse through hundreds of clipart files in our gallery. Start with any of our blank templates to create your label or choose a pre-designed template and make it your own.